Deborah Halverson was an editor at Harcourt Children’s Books for 10 years before becoming the award-winning author of Writing Young Adult Fiction for Dummies, the forthcoming Writing New Adult Fiction, two teen novels (Honk If You Hate Me and Big Mouth with Delacorte/ Random House), the picture book Letters to Santa, and three books in Remix series for struggling readers. She has been working with authors—bestsellers, veterans, debut, and aspiring—for over twenty years. The books she’s edited have garnered awards and rave reviews, and many of the aspiring writers she’s coached have landed agent representation and lucrative book deals. 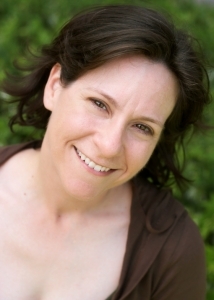 In addition to founding DearEditor.com, Deborah is now a freelance editor, author, and writing instructor. She speaks extensively at workshops and conferences for writers and edits adult fiction and nonfiction while specializing in teen fiction and picture books. For more about Deborah, visit DeborahHalverson.com. For more about Deborah and her books, visit her author site DEBORAHHALVERSON.com.